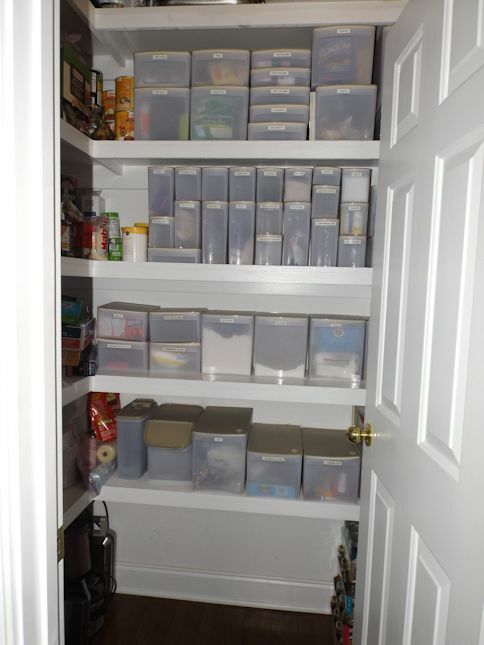 I have been cleaning and decluttering my house lately so unless you find clean pantries exciting, I don’t have a whole lot of photos to offer. I did take a break to make my world-famous chicken salad for lunch. It’s not really world-famous but I think it should be. It’s my favorite. 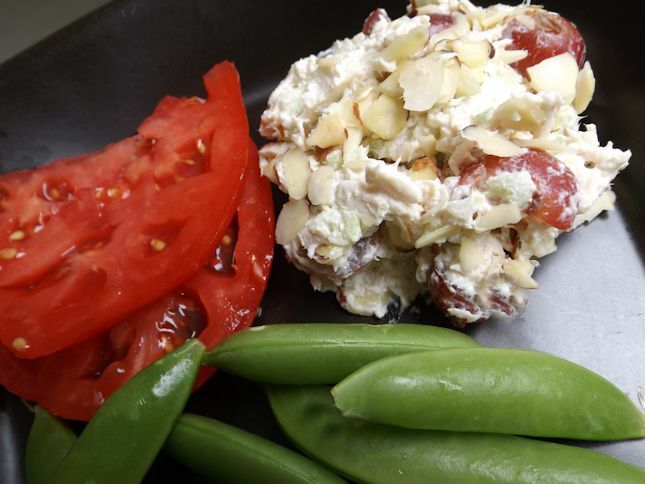 Here is a recipe for ONE CUP of chicken salad. When I cook for only a few, I scale down the amounts. Simply use those fifth grade math skills to multiply for a crowd. Use a food processor to finely chop the celery. Add the chicken and pulse to desired texture. Remove chicken and celery to a bowl and stir in the mayo, sour cream, and dill weed. Add the grapes and almonds. Season as desired with salt and pepper.